Home decor is the quickest way to express yourself to your guests. At Yocum Shutters and Blinds, we know how important it is to make an excellent first impression. With our large selection of window coverings from vertical blinds to window shades and more, we're sure you'll find what you need for beautiful window treatments and a beautiful home. Our creative and talented window shade and blind specialists will work with you to customize the look and feel of your home or commercial building. 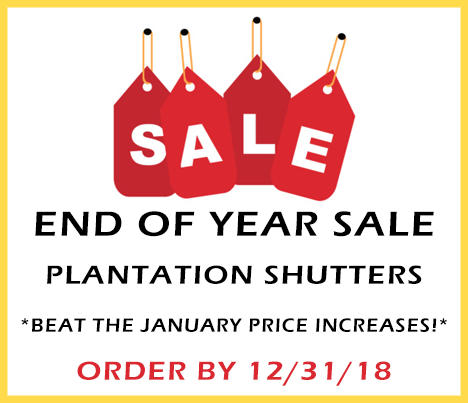 Established in 1950, Yocum Shutters and Blinds has 60 years of experience providing you with the very best in everything from plantation shutters to mini blinds. We're your answer for talent, experience, and an outstanding reputation that you can rely on. If you're ready to customize your window treatments for a new, dazzling interior, why wait? Call or visit Yocum Shutters and Blinds to set up your in-home consultation today! With locations in both Phoenixville and West Chester, Pennsylvania, we serve the window treatment needs of the greater Philadelphia area. Our customers come from throughout the region, including the towns of Kennett Square, Valley Forge, Oxford, Avondale, Newtown Square, Gladwyne, and Bryn Mawr in Pennsylvania and Hockessin and Greenville in Delaware. Yocum Shutters and Blinds offers reliable, top-quality home decor service. Our years of experience and quality workmanship have established us as the premier window shades and blinds supplier in the Pennsylvania, New Jersey, and Delaware areas. 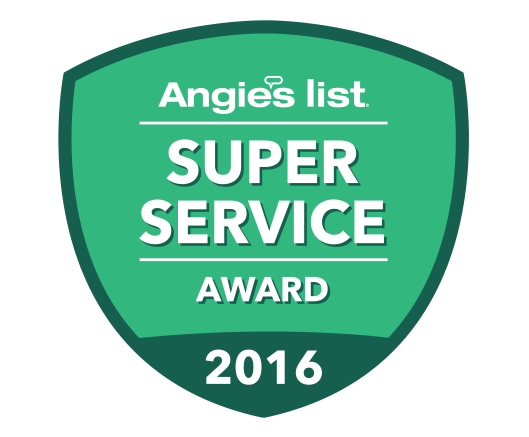 A family-owned business since 1950, we've received high accolades from not only our generations of satisfied customers, but from judges and critics as well. Whether you're looking for custom window draperies or plantation shutters, vertical blinds or mini blinds, you can be confident that you're receiving the best quality products on the market. In fact, you can see for yourself when you request an in-home visit from our award-winning designers. Our experts will collaborate with you to make sure you receive the best match for your home's personality along with the friendliest service and best quality window treatments. From custom fabrics to professional installation, our broad range of services is second to none. At Yocum Shutters and Blinds, we keep customer service and satisfaction at the top of our priorities. If you're not satisfied, neither are we. To give you peace of mind, we are fully insured and bonded, guaranteeing the safest and most professional job around. Don't wait one more day to breathe new life into your home or commercial space. 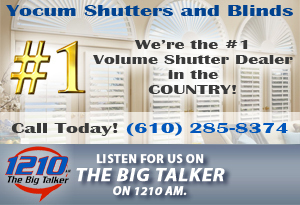 Call Yocum Shutters and Blinds today!